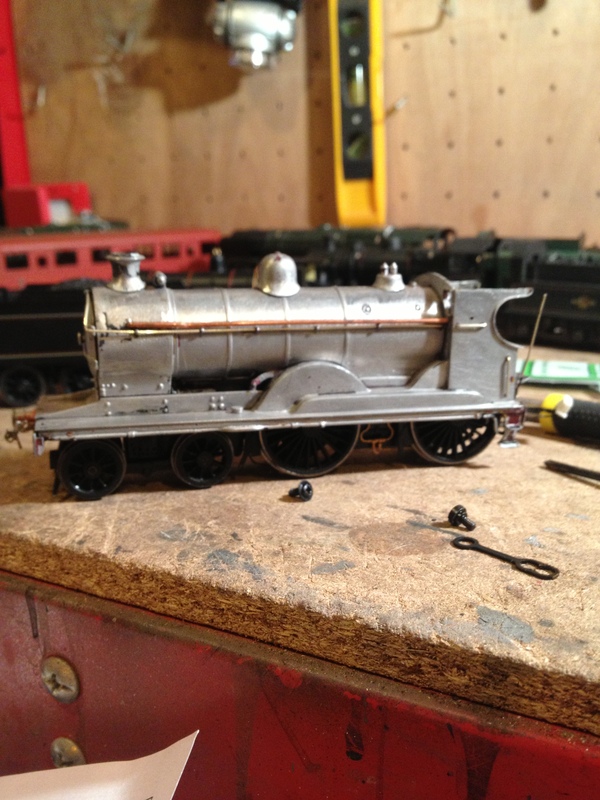 A few years back I bought a kit-built loco from a gent I know with the intention of bringing it up to more current standards. 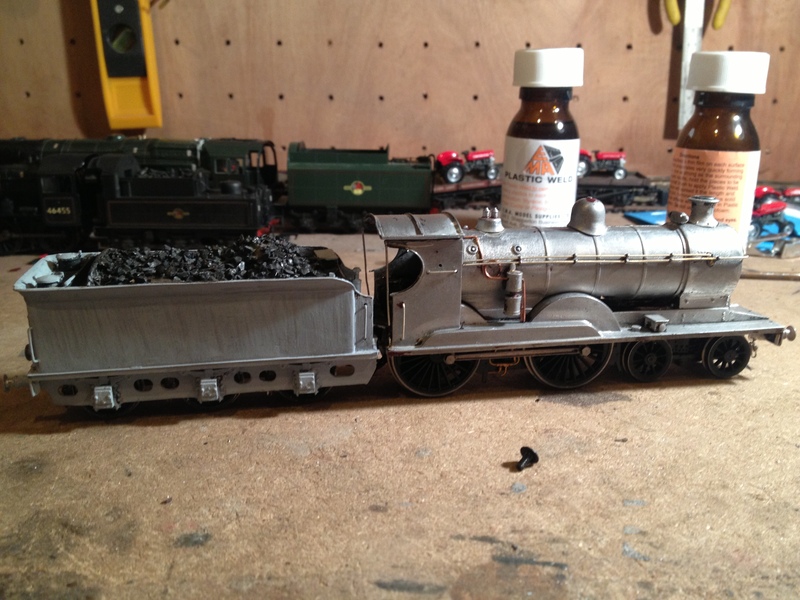 This model an ex-Caledonian 72 Class 4-4-0 was built from an old NuCast kit about 35 years ago. The old chassis beneath it was very much old school and had given up any pretence to running but as I intended to replace it this wasn’t an issue. 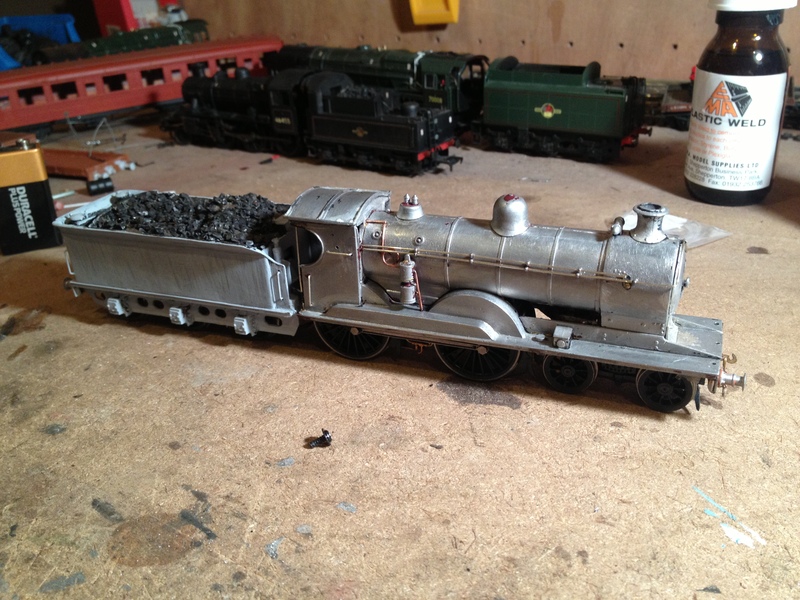 How I was going to do so was, however; my initial thoughts were based around using the generic 4-4-0 chassis by GEM . Meantime the model was stripped of paint then languished under the bench for the better part of four years – until last Thursday when a trip to my local emporium revealed a second hand Hornby T9 in the display case and the memory of something I heard some time ago stirred. Both types of loco share a common pedigree going back to Dugald Drummond’s famous Dunalastair Class and a classic big-wheeled 4-4-0 configuration, popularly know as ‘the Scottish 4-4-0’ arrangement. The result of this is that the chassis has been liberated from the T9 and looks like the 72’s body will accommodate the chassis fairly painlessly. One complication that will require some thought will be the re-use of the tender pick-up system and decoder. This is because with Hornby’s T9 there is a plug-in electrical connection between loco and tender without which the loco doesn’t operate. The fact that the tender is one of the eight-wheel ‘Watercart’ variety adds some further awkwardness. There are probably work-arounds for this sort of thing but I have a very limited understanding of electrics so I’m going to try and make that aspect as uncomplicated as possible. It has to be said though, the chassis seems to be a near natural fit on the ’72’s body and it looks just right in the photos below. This model, given some further 21st Century refinements, will look rather nice in circa 1956 lined black. This is rather good, a very handsome locomotive and a canny use of the T9 chassis. Looking forward to further updates. Oh yes. Yes yes yes yes yes ! There are photos of 54507 and 54508 in the archive/shoe box if you need them, just let me know. Thanks Stuart. Any information is helpful and greatly appreciated. A little more progress tonight. I’ve left tender pick-up out of the equation for now and have insulated the surplus tender leads an DCC socket. I have also fixed the power connection onto the tender by very crude methods. It’s effective enough though and the loco has pick ups on the rear pair of drivers and the bogie. That will probably be sufficient for my purposes at this time. Attention has now turned to the loco again and securing the chassis and loco body. More on that tomorrow! Does that leave pick up from only the four drivers? Yikes.